We’re pleased to bring a natural and holistic facial revolution to Montpelier and Williston. Using the time tested techniques of acupuncture combined with certified organic facial masks and products, we provide an individualized experience. Our providers have trained in advanced procedures to apply acupuncture for cosmetic uses, as it has been used for thousands of years. We love to work with patients from all over Washington, Chittenden and Lamoille counties for a true rejuvenating experience. Cosmetic or Facial Acupuncture includes using micro-fine, specialized facial acupuncture needles into fine lines and wrinkles. The body responds to this insertion by increasing a flood of red blood cells and triggering an immune reaction. After the treatment, the immune response is calmed and the result from the circulation increases collagen production which leads to plumping wrinkles and glow to the skin. This facial in Montpelier and Williston is unlike any other, give it try for a natural dermatology experience. A one hour cosmetic acupuncture treatment involves a full intake to hear about your specific concerns and the history behind your health. Our licensed acupuncturists listen intently about your concerns and determine a plan to address the root imbalance while providing a relaxing and rejuvenating treatment. 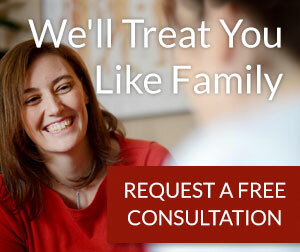 After your first appointment, together we’ll establish a care plan to maximize your results. After nearly every facial acupuncture treatment patients are astonished seeing their face glow and shine. After your treatment, have a look in a hand held mirror to see up close immediate changes to wrinkles and fine lines. People see changes after one or two appointments but to make long term changes that last for many months, we recommend daily use of specific herbal products and a series of 5-10 cosmetic acupuncture treatments.